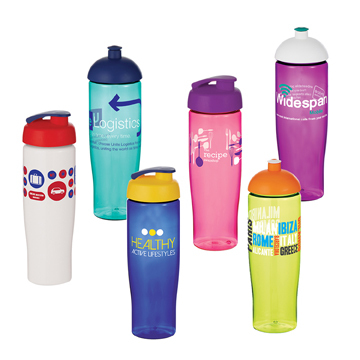 Brand new for 2014, the Tempo Sports Bottle is destined to be a real winner when it comes to promotional sports bottles. With its slimline, modern design and vibrant translucent colour range, any recipient will love this gift! Design your perfect bottle with the choice of a domed or flip lid. And when it comes to colours, you can choose a matching colour pallette or mix and match to suit your brand! BPA free, 700ml capacity.